Prince William Sound is big even for Alaska standards and in this vast landscape, Ravencroft sits at her heart. There are no roads to where we are and the nearest lodge is over 80 miles away, across the Sound. It is only accessible by boat or aircraft and caters to no more then a group of 12 guests at a time. And because we are so deep into the wilderness, animal life is never far. 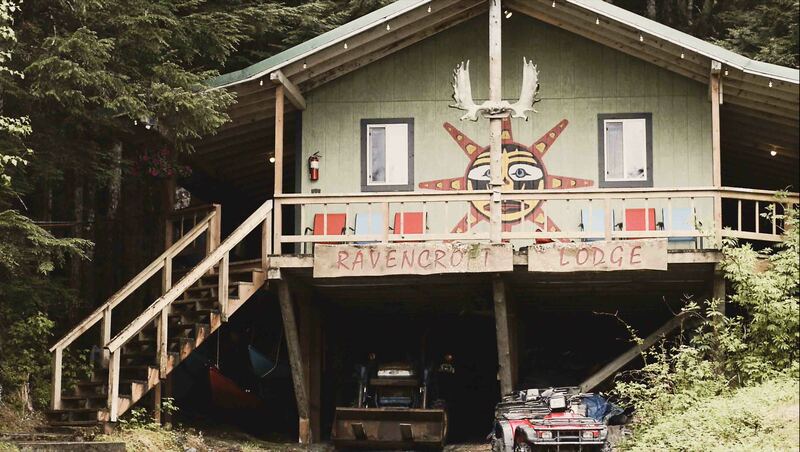 The lodge sits on 240 acres of private land that is surrounded by national forest on all sides with an amazing view of Prince William Sound and its impressive historic Chugach Mountain Range. The property was once a bustling mine housing over 100 men. There are still remnants of the frontier with old tools displayed on the lodge deck. When the lodge was constructed by Boone and his father, many hardships were taken during the progression of raising the structures. The original forest had grown back with little sight of the original footings from the old buildings. It’s taken many years of blood, sweat and tears to bring this lodge and all its outbuildings to modern standards. And once again housing adventure seekers to this beautiful area. When you sit down on one of the decks and let the sounds of nature over take you, it’s easy to see why guests come back year after year. There are 7 buildings that make up the lodge, one of which is the bunkhouse. 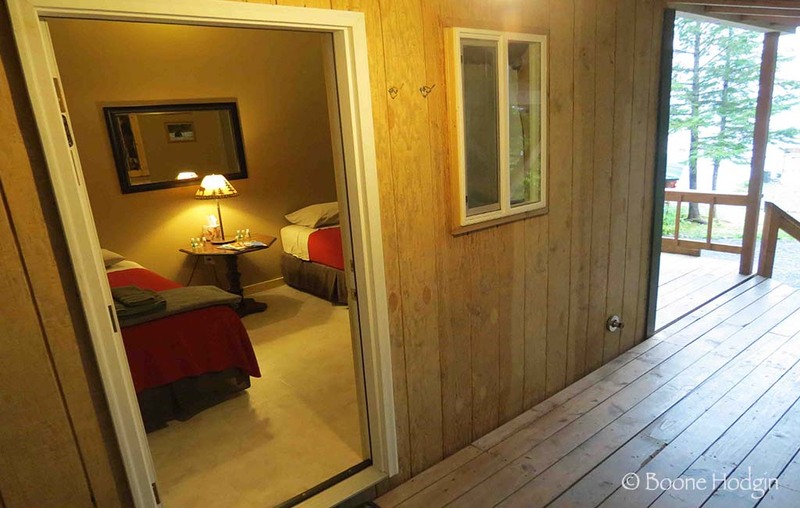 It has 8 private rooms, that each have two twin size beds. Bathrooms and showers are located at the back of the building, under the wrap around deck. We have unlimited fresh running water. There are no out houses here, flush toilets only! Hot water is provided by large tanks at the end of the building. Power is provided by an onsite generator that produces clean 60 htz electricity with 24 hr, round the clock charging of any electronic devices or batteries. Dive suits and wet suits can be dried each night in the generator building or air dried on a rack outside your room. Meals are served at the main lodge building where there is also a large common room with several couches for groups that want to talk about the day or share photo's on our flat screen tv. Evenings are spent relaxing around the lodges firepit, where many stories have been told of adventures and struggles of creating a remote home in Alaska's last frontier. At the end of the day, you'll also have front row seats to what will seem like an endless setting sun. During cloud covered nights, brilliant sunsets cover the sky! With ample beachfront in front the lodge, we encourage guests to look for new and exciting treasures that come with ever tidal change. Low tides allow for an often over looked eco system teeming with life. If you’ve got a macro lens, then bring it down for and you’ll see yourself easily entertained with all the little creatures that inhabit the area. 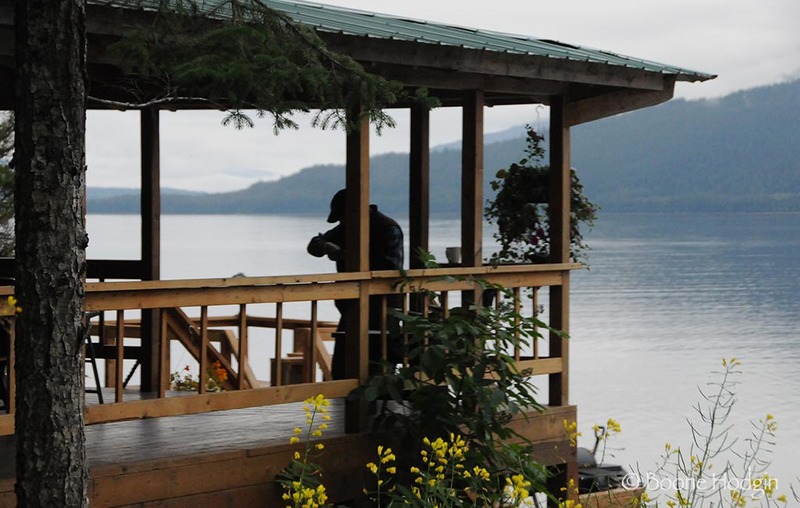 The lodge has the largest privately owned parcel of land in Prince William Sound. There is an old trail that travelling up the mountain side behind the lodge, allowing for amazing views of the port and the white capped mountains that surround us. You’ll find many different tiers of ecosystems, from meadows, to waterfalls, to old growth tree’s and a turn of the century copper/gold mine at the top. For those who would rather enjoy standing up, try one of our very hardy paddleboards. Specially designed for alaskan waters, these boards are extra wide for stability with high sides so even shoes won't get wet while out skirting the shoreline. There are a total of 7 paddleboards. They come complete with paddles and life jackets with general orientation. We are lucky enough to be located on the south shore of Port Fidalgo, giving us maximum time watching the sunsets drop below the mountains. Sit and relax and let nature show you just how many colors a sunset can give you in Alaska's wilderness.